New road bike thoughts, £4k budget…. This topic has 30 replies, 20 voices, and was last updated 2 months ago by soundninjauk. Canyon Ultimate CF SL 8.0 Di2 clicky and Canyone Endurace CF SL8.0 Di2 clicky At the moment the 2 faves are the Boardman and the Canyon Endurace Anyone know of anything else out there that i should be considering? True to STW form of recommending what you own and being (slightly) over budget. Mines last years so was cheaper but does without the carbon wheels. For £500 more you could get 2018 TCR SL disc. I have the non-disc version and love it. More comfortable than my previous “endurance” bike and super light. Brilliant spec for the money. I have the Ultimate in your link, but with the mechanical gearing. Absolutely love that bike – very comfortable for all day in the saddle rides and very fast as well. Oh, and the blue is lovely. Proper headturner. What sort of riding do you do? What do you want that any current road bike does not offer? Canyon make great bikes, but there are plenty of options for your budget. Personally, I’d avoid disks on a high-end road bike. Are you really going to ride it in awful weather? You’ll be hard pressed to find a *bad* bike for that money, although you could easily find one that doesn’t fit you well or is inappropriate for you. I honestly think that the fit of the bike will make more difference than the rest of the spec, so it’s worth budgeting for a decent bike fit. If you’re really lucky a good LBS can do the fit as part of the buying process. If you’re going down the internet sales route, then it might be worth considering how easy it is to change components if you need to. I bought a canyon road bike a few years ago and it has a weird steerer diameter so it was hard to get a longer stem to try. I can only imagine that the integrated cockpits must be a nightmare to customise. It’s not just bad weather. Carbon rims alone is a good reason to go with disks. Takes away the “slightly damp” carbon rim brake lottery. Have carbon rims and calipers with Swiss stops currently. Demoing ultegras and their uniform power in all conditions and wheel materials sold me. Carbon wheels and ultegra disks due this week. Agreed. The primary reason I’d go for disc brakes is the space for tyre clearance. Even on a race bike. Good point Stevous that was another plus point. 28c in an aero frame. Have you got a road bike? Or have you tried various kinds? What kind of riding do you want it for? As other have said, you’ll be unlucky to get a bad bike, but you might end up with one that doesn’t suit your riding style. 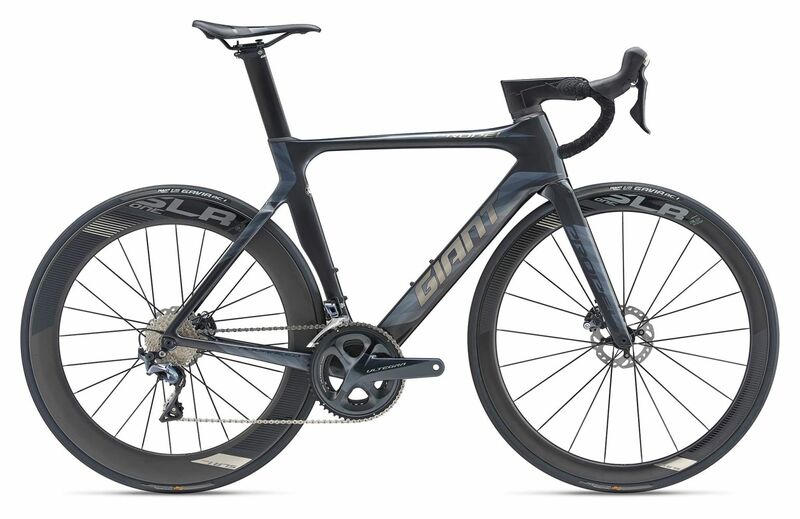 Currently have a Scott Foil i use for racing, and a Giant TCR Advanced SL, which is brilliant, and was my go to for general mooching around, but i wanted it replaced under warranty by Giant, they say no, so they can do one, i wont ever throw any money their way ever again. I want discs as it means no deformed carbon rims under heavy braking (been there, done that) and plenty of room for mudguards and fatter tyres in winter, i dont need extreme racing positioning (have the Foil for that), so its something reasonably nippy that wont shatter my spine to pieces, nice wheels, disc brakes are an absolute must, as is Di2, because thats what i want! Had a Canyon Ultimate CF SLX in the past, which was great, but i really like Boardmans too..again ive had one of them in the past as well, and it was cracking. Quite like the look of that Focus, might to have a mooch down the road to Darlington Wheelbase for a closer look. That’s unusual to hear about Giant, you usually only hear good things about their response to warranty claims. What was the problem? disc brakes are an absolute must, as is Di2, because thats what i want! I salute you sir. That’s all the reason anyone actually needs when choosing bikes or parts. I’m treating myself when I get to my target weight loss so I’m a few months of buying, but I’m looking at Rose at the moment (although a lower budget than the OP). No experience of the other brands/models but I have just done a custom build on an Ultimate CF SL frameset and its a lovely bike. Not sure there’s that much difference in geo to warrant going for a endurance over an Ultimate either – the ultimate is a very comfortable bike. Sizing needs to be done carefully as they seem to be quite a compact bike with shorter seat tubes compared to other brands. I’m 5’9″ and I went for a size small which fits perfect. That BMC looks nice, however i also refuse to give that fat pr1ck any of my money, so Evans are a big old no I’m afraid. Great reason all by itself, but also Di2 is amazing. I recently got Ultegra Di2 on my new roadie (Parlee Altum, lovely but pricey) and spending the money on the upgrade over mechanical was money extremely well spent. You stick to your guns OP, don’t let this lot tell you that you want the wrong thing. Oh, apart from the person who recommended the Ultimate over the Endurace. I’ve not ridden either but was recently studying road bike geo in depth for a potential insurance replacement and ended up rejecting the Ultimate as being a bit more relaxed than I was after. The Endurace was waaaaay too relaxed. I think it’d feel too ploddy and upright coming from your Foil. To be honest, if I was in the OP’s position I’d be looking for something a bit different. Maybe a Jack Laverack or something of that ilk. Possible even a Mason Bokeh with an additional set of wheels for road use. The Jack is over budget, but I’d be more tempted to stretch to the additional money for something completely different than what I already have. You already have a good racebike, not sure what another road bike will gain you. Don’t get me wrong, I get N+1, but as I’ve gotten older I’ve moved towards having something a bit different for my non race bike. Moving from my Aeroad to my Domane feels fine to me. I moved from a Trek H1 fit Emonda SLR to the H2 fit Domane, again that felt fine. Its not quite as quick, but when I want a quick ride I use the Aeroad. Ouch – not a looker is it! What’s with the hump back stem? Oof, I’m not a fan of aero bikes’ styling generally but that one takes things up a notch. All the brake lines and gear wires are routed through the bars, into the stem, down the steerer and then through the frame and fork. Looks nicer than the propels way of doing it…..not that that influenced my decision either way. Ah well that’s the concession I made, got a set of alu DT Swiss wheels instead of shiny carbon ones that make that whoosh noise.